Urgent dental problems can be quite unsettling. Whether you are the one experiencing the issue or the parent of a child who is in pain, you probably are not in a good frame of mind to seek a dentist at that moment. You need help right away, and that begins with comforting advice from a team you are familiar with. Because there is a strong likelihood that someone in your family may require emergency dental care at some point, it makes sense to partner with an experienced dentist “near me” before need arises. Calgary Dental Centers is accepting new patients of all ages. When it is happening to you or your child, any dental situation feels like “code red.” However, there are distinctions. Suspected jaw fracture or dislocation. Possible concussion. Symptoms of concussion include headache, temporary loss of consciousness, confusion, amnesia of the event, “seeing stars,” ringing in the ears, nausea or vomiting. You should seek emergency dental care for situations that are not considered life-threatening. Prompt, professional treatment gets you out of discomfort. It is also instrumental in potentially saving teeth and reducing the need for extensive and expensive dental work later. The most common dental emergencies stem from a tooth that is broken off, loosened, or dislodged from the socket. 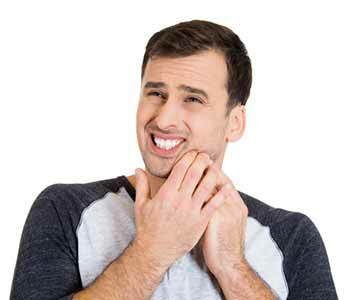 Acute toothache from decay or an abscess may also require an unexpected dental visit. Urgent dental situations are those that need attention but can be treated in accordance with the dentist’s regular appointment schedule. This classification includes fractures or small areas of breakage; a loose, damaged, or displaced filling or crown; unfastened orthodontics; mild toothaches; and mouth sores. We allow time in our daily schedule to see existing patients punctually. We can usually get you in the same day, and in many cases, treatment can be performed immediately. We make every effort to see new patient emergencies as soon as there is an opening. With extended evening hours on Tuesdays and Wednesdays, and alternate Saturdays to 4:00 p.m., you won’t have to wait long for relief. Perhaps the most important emergency dental services we offer are calming advice, and pain relief. From the first phone call, our team gently explains first aid steps you can take at home until the dentist sees you. Pain management options such as numbing and oral conscious sedation relieve discomfort and aid in painless treatment. Reimplantation of an avulsed (knocked out) tooth. Fast action dramatically improves chance of saving the tooth. Extractions – Sometimes necessary due to sudden abscess, toothache from significant untreated decay, large areas of trauma, or a badly-loosened tooth. 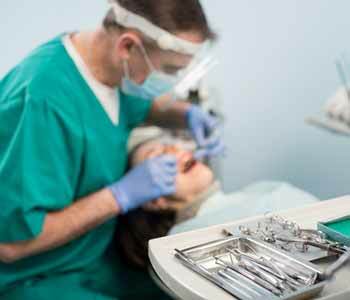 Root canal therapy – An alternative to extraction when decay or trauma has allowed infection to build inside the tooth. Repair or replacement of existing dental restorations – Be sure to bring any dislodged parts or pieces with you. Fillings and crowns to repair decay and damage. Information and guidance on tooth replacement options for the future. Once you are an established patient, your up-to-date medical history and dental records are on file at Calgary Dental Centers, as well as insurance information. You won’t have to fill out pages of paperwork in a stressful circumstance. You know the dentist and support staff – it can be quite soothing to be calmly addressed by your name in an emergency. Treatment occurs in a familiar setting, which helps to put you at ease. We hope you never have a dental emergency, and we work hard to help you avoid oral problems with preventive care and guidance on home hygiene. If you do, though, isn’t it a relief to know that you can count on Dr. Hanif Asaria and his team at Calgary Dental Centers for prompt aid? To become a new patient now, call (403) 768-1339 or (403) 768-1343 .